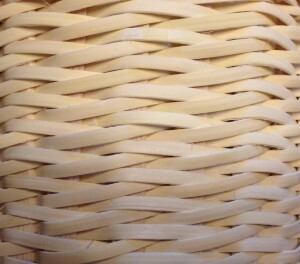 I use the braid weave in several of my patterns: Braid Obsession, Braided Miniatures, Wisconsin Wine Basket and Whispers. 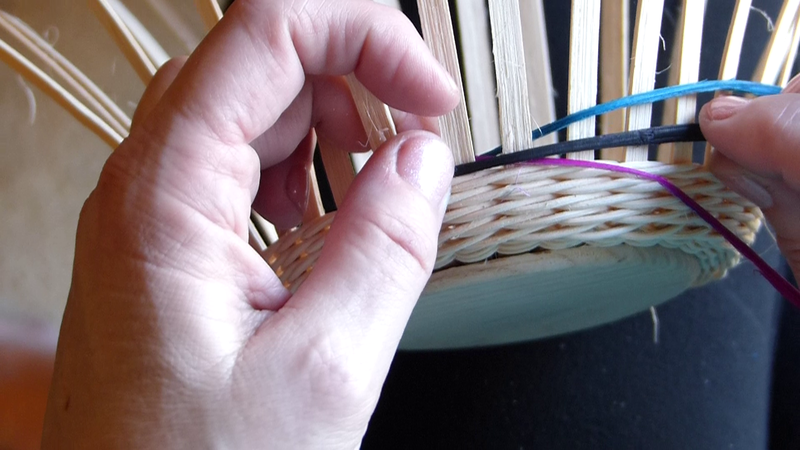 The three strand braid weave is one of my favorite basket weaving techniques to teach. In my recent Whispers classes, I have been asked to post a tutorial on the braid weave – so here it is. When I teach the three strand braid weave, I like to begin by telling my students how it is similar to triple twining and then explain how it is different. What I am going to do is post a pictorial tutorial with the same spiel I give my students. At the end of the tutorial you will find a link to my YouTube video tutorial. 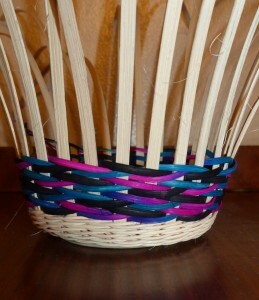 Both use three strands or weavers. 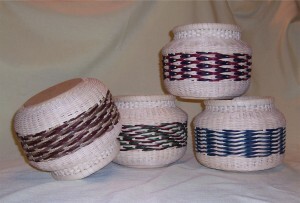 Both begin with three weavers in three consecutive spaces and the weavers will always be coming out of three consecutive spaces. Both always weave over (in front of) two spokes and behind one spoke. *If you are left handed and weave left handed, when I say ‘left‘, exchange it with ‘right‘ and when I say ‘right‘, exchange it with ‘left’. 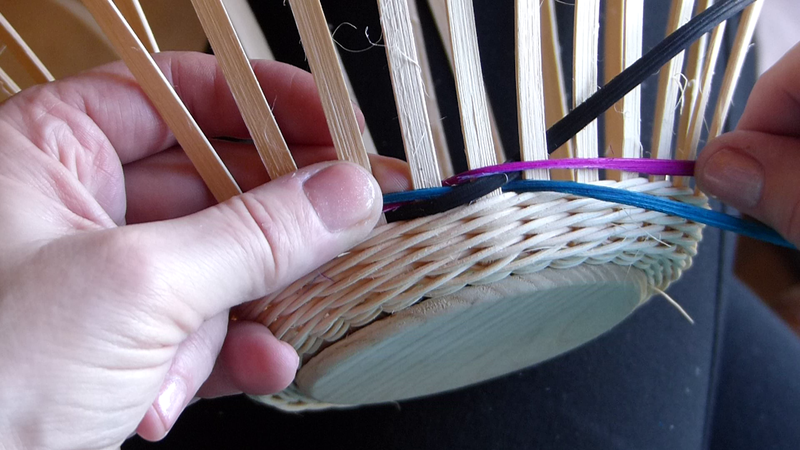 Step 1: Lift the middle weaver up and out of the way (this should create a horizontal V with the middle and far right weavers), then take the weaver on the far left over two and behind one. Step 2: Lift the far right weaver up and out of the way (again creating a horizontal V with the middle and far right weaver), then take the weaver on the far left and weave it over two and behind one. These two steps can be simplified to one step – You will notice that while the weavers change their position (it might be above or below the other weavers) and sometimes the weaver that needs to be lifted is in the middle or on the far right, but it is always the top weaver. 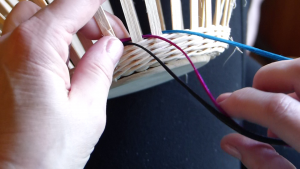 So, the two steps can be simplified to one step by remembering that you ALWAYS weave with the weaver on the far left, place it between the other two weavers and then pick up the weaver on the top to get it out of the way before weaving the weaver on the left over two and behind one. 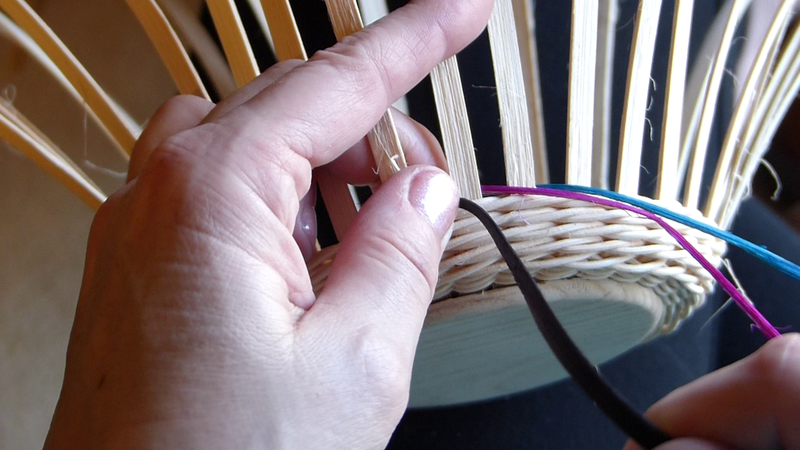 One more thing: the three strand braid weave is woven continuously with no step-up. 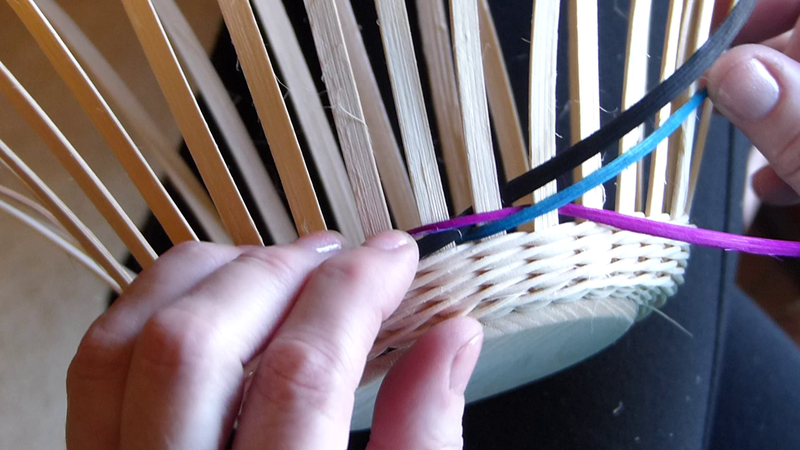 Taper your weavers to start and end the braid section. You can view my YouTube tutorial here. 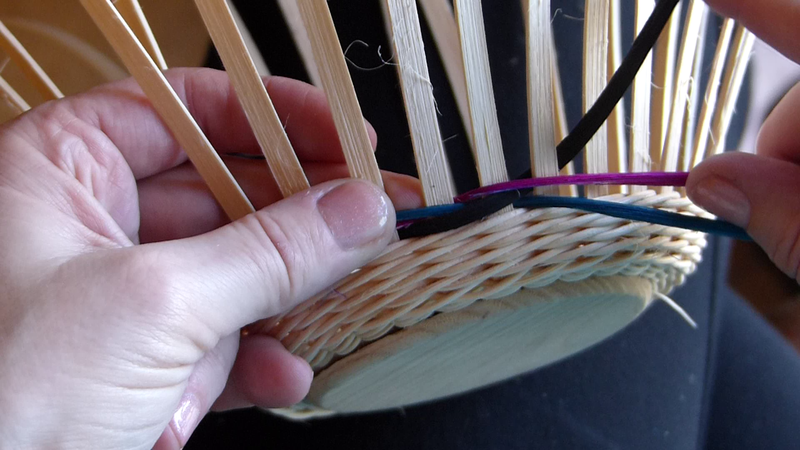 One of the things I love about the braid weave with three strands is how it looks different depending on the number of spokes in the basket. Its amazing to see how the weave looks different depending on whether the number of spokes is odd or even, divisible by three or not. 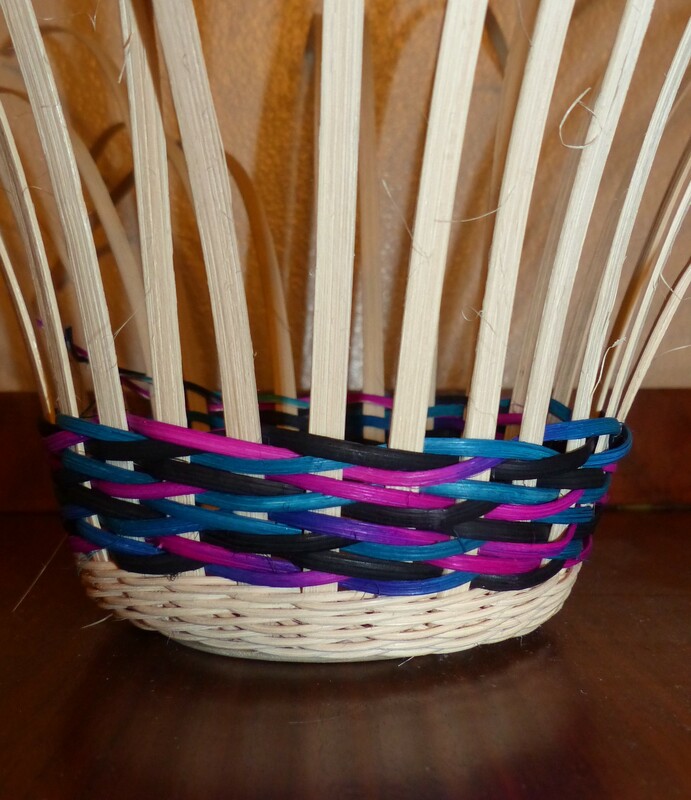 My basket pattern, Braid Obsession, has photos and clear instructions showing what the braid should look like with the different number of spokes. 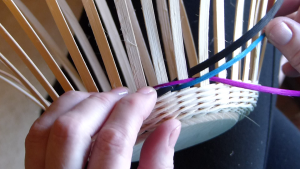 Understanding how the weave looks depending on the number of spokes, will help you know if your braid has been done correctly. Can’t wait to try this, Annetta! Anne O. and I have been looking at the wine basket trying to figure this out. Thanks for the tutorial.